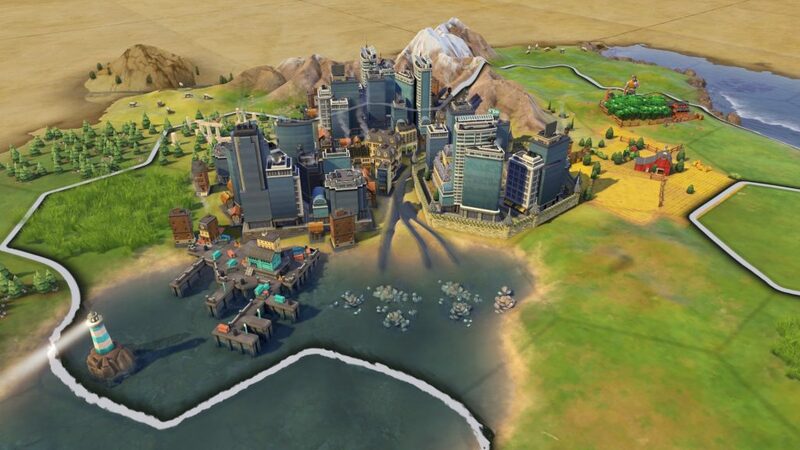 Civilization 6 is now over a year old and has had plenty of time to acquire interest from the modding community. Now seems as good a time as any to take a look at the Civ 6 mods on offer and undertake an early-2018 review! 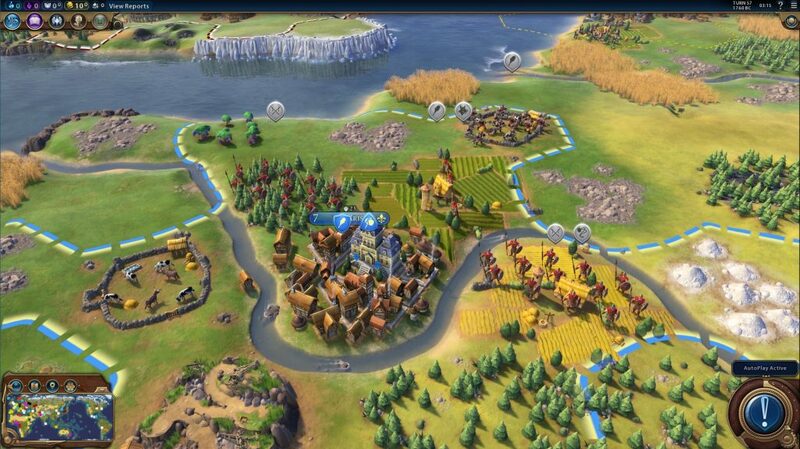 Civ 6 has finally integrated with the Steam Workshop. 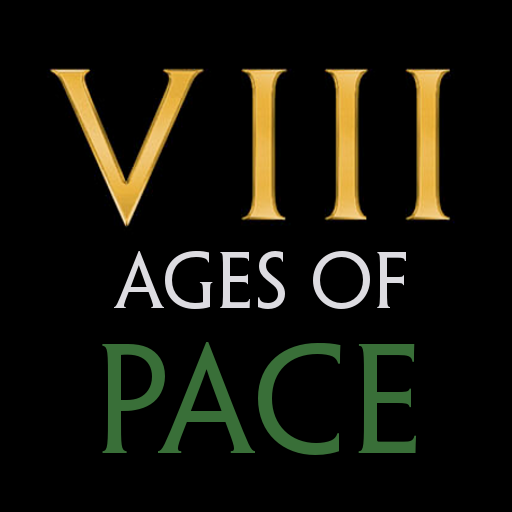 While this feature didn’t stop users from modding the game (indeed, there were basic Civ 6 mods published within days of release), it has definitely improved mod usage, feedback, and development. I had dabbled with mods before this feature was added, but now I’m able to experiment quickly and properly. I’ve chosen 20 mods that all work together. I didn’t have a particularly strict process for choosing these, but to install the ones that appealed to me personally. This isn’t a “Top 20” list, and isn’t a reflection of what I consider to be the best available mods. My process for choosing these mods was to scroll through the Steam Workshop (using various search terms or results filters), read the description of any mods that captured my interest, and filter according to what I thought would be fun to play and what would be compatible. I totally ignored mods that introduce new civilisations, only because I feel I’ve not yet had enough of the existing civs! 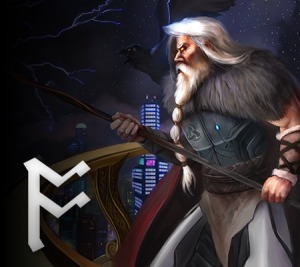 If you like these Civ 6 mods, you might want to check out my posts on Caveman 2 Cosmos and Fall from Heaven 2 – Ashes of Erebus, two massive mods for Civ 4 that make it well worth returning to. The list of mods are shown in the list below (click to jump to the description). These are all available to subscribe to in the Odin Gaming’s Civ 6 Mods collection on Steam. techs/civics significantly more expensive in later eras. Side effects have been dealt with appropriately so that the game still feels balanced. 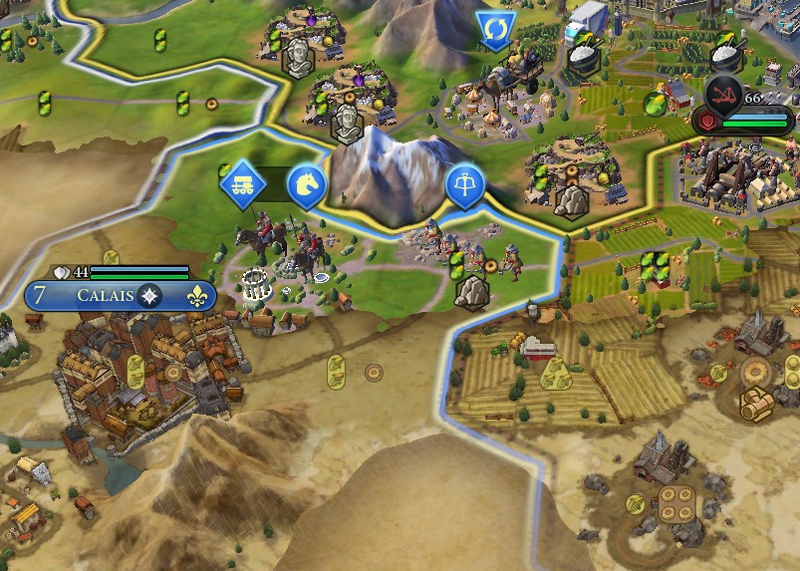 Scaling the difficulty in Civ 6 – or previous iterations of the Civilization franchise – merely alters certain bonuses the AI receives rather than actually changing the AI behaviour. In contrast, this mod aims to make the Civ 6 AI more challenging (at all difficulty levels) by actually tweaking its behaviour so it behaves in a more competitive and logical manner. Improvements target setting, building and district choices, tile improvements, and more. 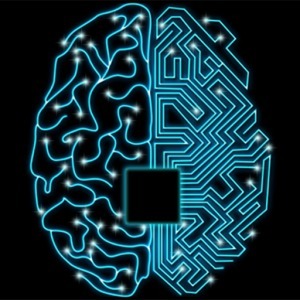 Most noticeably, though, there is significant improvement to the AI’s ability to wage aggressive wars. 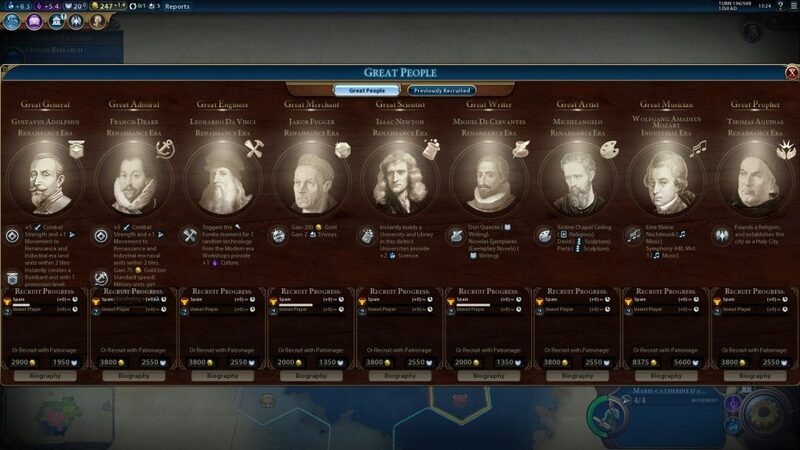 It further alters the personalities of various civs so that they appear more distinct, with warlike civs building more units, expansive civs grabbing more land, and religious civs focusing more heavily on their religions. The mod isn’t perfect, but it does an incredible amount with the tools at hand. 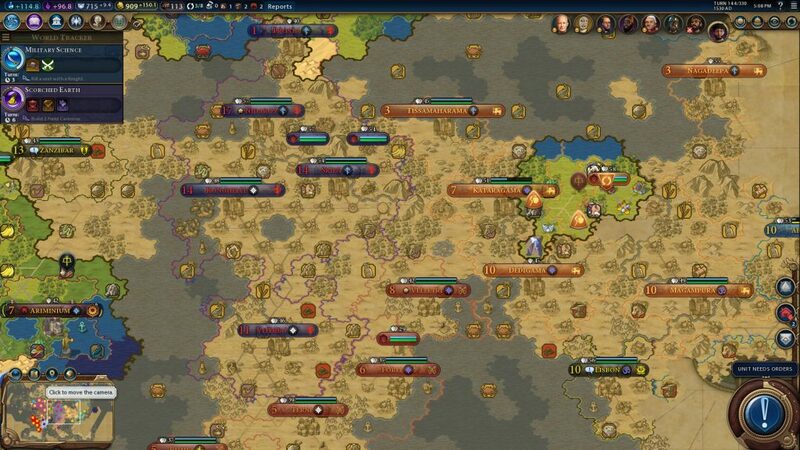 There will be plenty of players who prefer the vanilla Civ AI experience, but it’s certainly worth trying AI+. I believe it lives up to its goal. Makes coastal cities viable, or even desirable, by adding bonuses for City Centers adjacent to coastal tiles, increasing tile yields from coastal buildings (Harbors, Shipyards, and Seaports), and adding direct yields from coastal buildings. 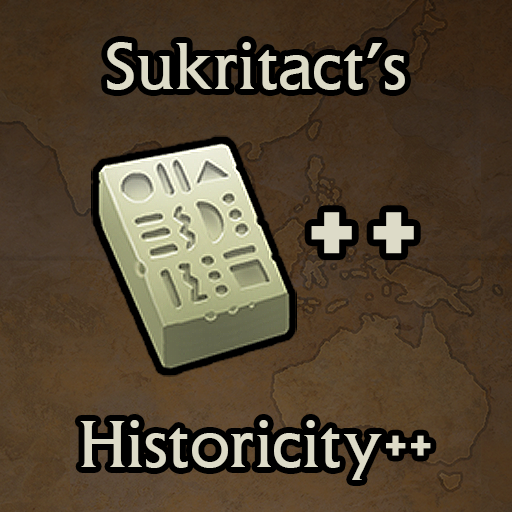 I always enjoy having an objective quantifier of quite how my own civ is faring on the world stage, but that was largely missing in vanilla Civ 6 (unlike its predecessors). 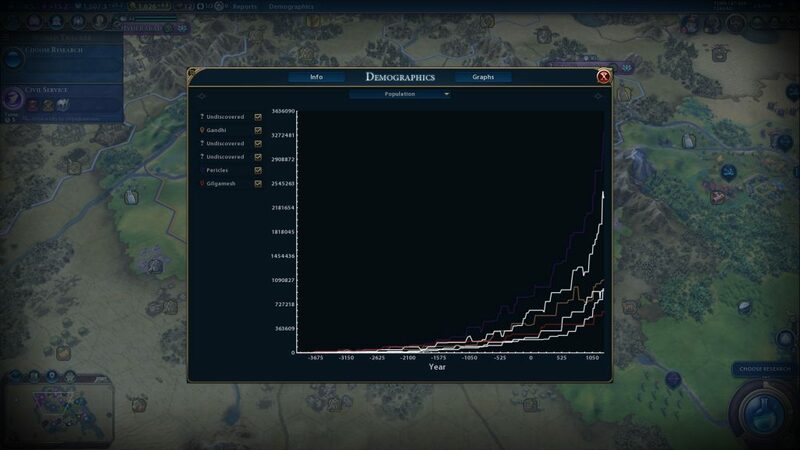 Enter “Civ VI Graphs” to save the day! Now you can track your civilisation’s rise to power through history and revel in your foes’ demise. 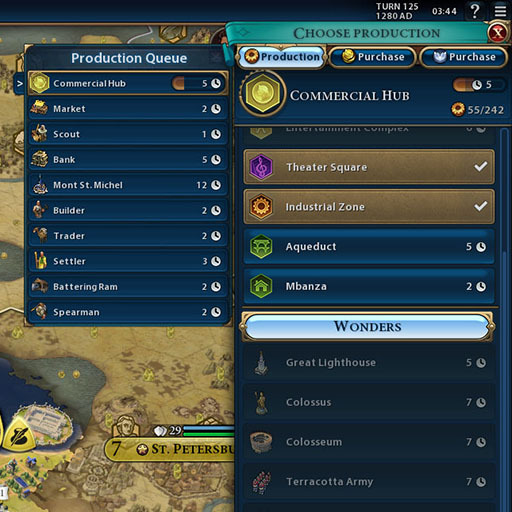 CQUI enhances the Civ 6 UI so that you get the required information in fewer clicks. 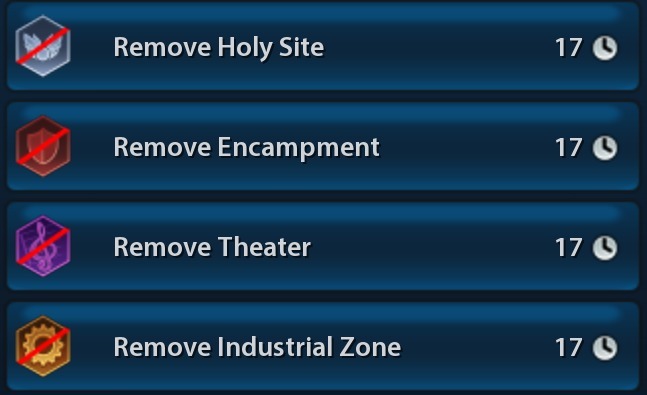 It’s hard to overstate how much CQUI streamlines the game, with changes to almost every UI feature in the game. A particular favourite feature for me is its integration of the “Better Trade Screen” which, among other things, allows for automatic renewal of trade routes…! Adds a new late-game district called the “Downtown Area”. This primarily adds an attractive city-sprawl graphic, but adds housing, amenities, and provides some adjacency bonuses. The Free Camera mod removes limits on camera tilt, rotation, and zoom. This provides little enhancement in the way of gameplay, but it lets you get much closer to the models and admire your burgeoning civilisation from a new perspective. Replaces text – names and descriptions – to be more historically accurate e.g. correcting “Sumeria” to “Sumer”. Not to be limited to history buffs, this mod might please players from featured countries who know better than the devs, or just anyone who might hope to actually learn something about history from Civ 6! 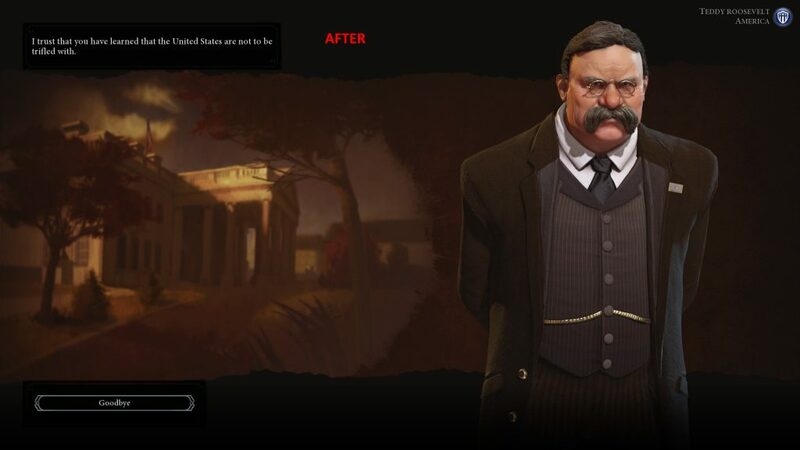 This mod changes some of the cookie-cutter non-spoken text with civ-specific text. Nothing particularly fancy, but it adds a lot to the immersion! Improves city name diversity by both adding new city names and changing others. This is a simple but, some might say, essential mod which adds contrast and colour to areas inside the Fog of War to more easily distinguish them from undiscovered areas. A quality of life mod that allows you to queue build orders! This reduces the number of times you have to check in on your cities. You won’t want to do without it once you have it. Note that this is already included in the CQUI mod (also featured in this post), but if you don’t want the more drastic UI changes it makes, you may want to grab this one by itself! Replaces the vanilla, generic Great Person portrait with individual portraits with a consistent style. Adds a little bit of flavour to the game, which is always a good thing, in my eyes! 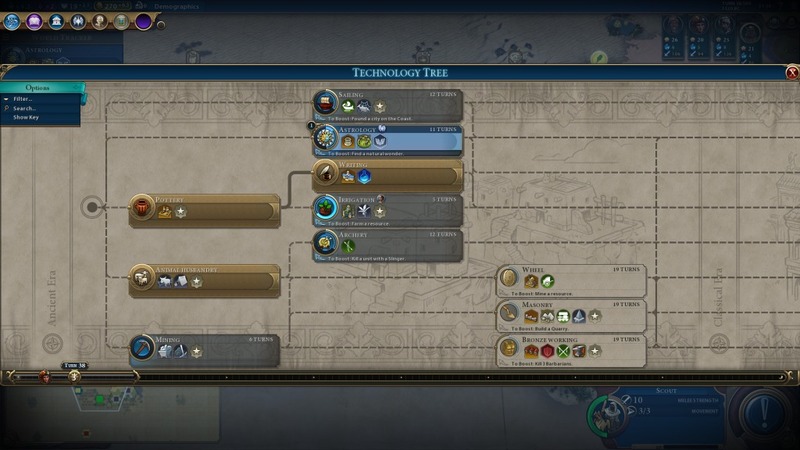 The headline feature of the Real Tech Tree mod is that it makes the Tech and Civic Trees to be more historically accurate and logical. decreased Eureka boosts (to 35%) for better game pace. The R.E.D. 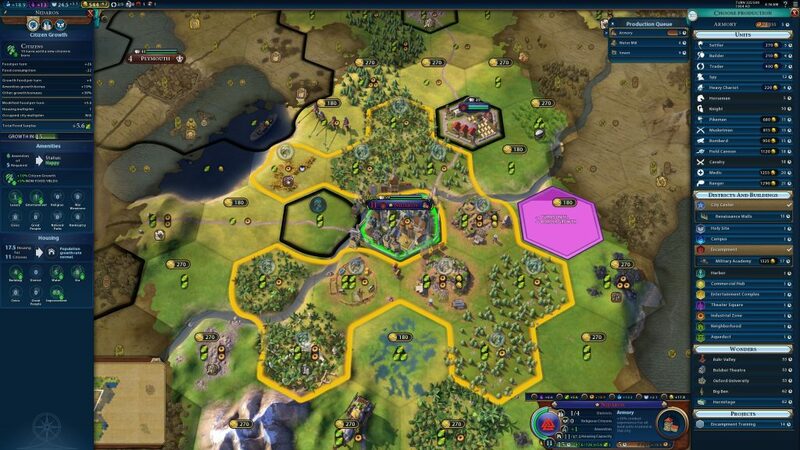 Modpack has a long history in Civ and aims to rescale the appearance of units on the map; any Civ 6 mods list would be incomplete without it. This rescales units, so that, for example, men look small against elephants or tanks. It also changes the number of individual models within a full “unit” and alters their formations. All-in-all it makes for a more satisfying experience with unit models; it can be quite impressive to see them spread across the landscape at full strength. adds eight new, fully-customised religious buildings. 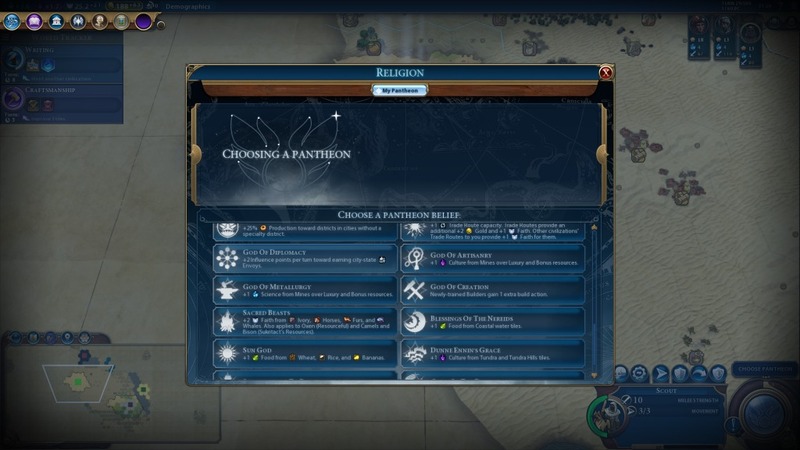 Religions are much more personalised, dynamic, and fun using this mod! 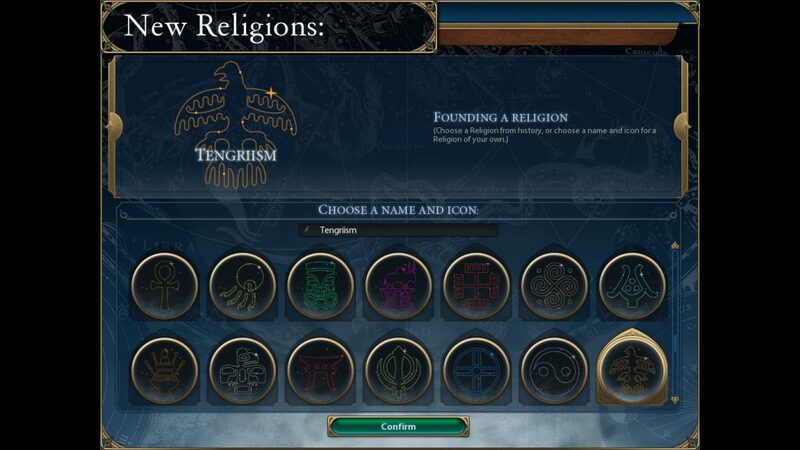 Tomatekh’s Historical Religions mod is a recommended complement! This allows you to re-spec your cities as you progress through the game and opens the opportunity for more game play strategies accordingly. Adds additional historical religions to the base game and alters the religious preference of leaders to match their appropriate historical religion. Replaces the icons for the vanilla Unique Districts so that they’re all distinct. 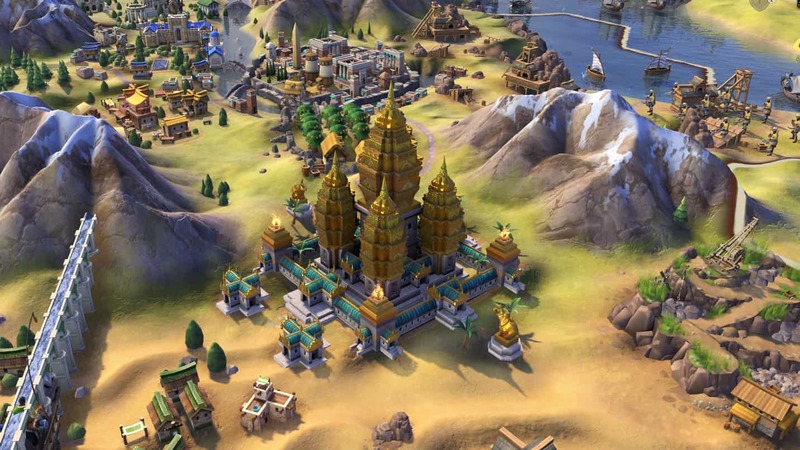 The legendary map pack now joins the ranks of Civ 6 mods. 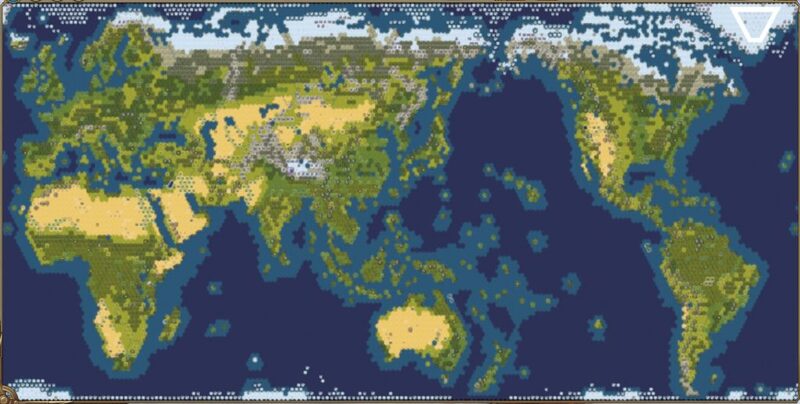 The community’s favourite Civ 6 Earth map with true starting locations optional. Includes multiple Earth maps, plus a Europe map, and a “Terra” map script.